After thousands of scanned Wordpress sites, we decided to give you some information you can use to your own advantage. Below you will find the top 50 plugins used most, based on all of our scans. This page will update automatically depending on changes with our scans. This Plugin is used on 33.8% of the sites scanned by us.
" Improve your WordPress SEO: Write better content and have a fully optimized WordPress site using the Yoast SEO plugin. " This Plugin is used on 25.9% of the sites scanned by us.
" Just another contact form plugin. Simple but flexible. " This Plugin is used on 17.1% of the sites scanned by us.
" 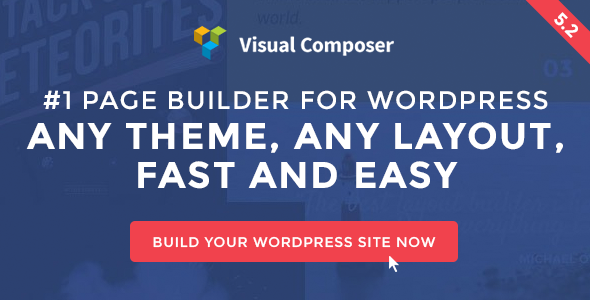 Visual Composer Page Builder Plugin for WordPress, with Frontend and Backend Editor. Welcome to the first extendable page builder plugin for WordPress! Visual Composer is a drag and drop frontend and "
This Plugin is used on 9.97% of the sites scanned by us.
" WooCommerce is a free eCommerce plugin that allows you to sell anything, beautifully. Built to integrate seamlessly with WordPress, WooCommerce is the world’s favorite eCommerce solution that gives bo "
This Plugin is used on 8.11% of the sites scanned by us.
" Slider Revolution is an innovative, responsive WordPress Slider Plugin that displays your content the beautiful way. Whether it’s a Slider, Carousel, Hero Scene or even a whole Front Page, the visual, "
This Plugin is used on 6.68% of the sites scanned by us.
" Search Engine (SEO) & Performance Optimization (WPO) via caching. Integrated caching: CDN, Minify, Page, Object, Fragment, Database support. " This Plugin is used on 6.67% of the sites scanned by us. This Plugin is used on 5.38% of the sites scanned by us. This Plugin is used on 3.63% of the sites scanned by us.
" Custom Fonts allows you to add more fonts that extend formatting options in your site. " This Plugin is used on 3.58% of the sites scanned by us. This Plugin is used on 3.25% of the sites scanned by us.
" Supercharge your WordPress WooCommerce site with these awesome powerful features. More than 100 modules. All… "
This Plugin is used on 3.07% of the sites scanned by us.
" Google Analytics for WordPress plugin allows you to track your website by entering your google analytics tracking code. " This Plugin is used on 2.64% of the sites scanned by us.
" LayerSlider is a premium multi-purpose animation platform. Slideshows &amp; image galleries with mind-blowing effects, gorgeously animated landing pages &amp; page blocks, or even a full websi "
This Plugin is used on 2.62% of the sites scanned by us.
" Embed beautiful and feature-rich tables into your posts and pages, without having to write code. " This Plugin is used on 2.50% of the sites scanned by us.
" Mailchimp for WordPress, the #1 Mailchimp plugin. " This Plugin is used on 2.41% of the sites scanned by us.
" OneSignal is a complete push notification solution for WordPress blogs and websites, "
This Plugin is used on 2.39% of the sites scanned by us. This Plugin is used on 2.37% of the sites scanned by us.
" WooCommerce is a powerful, extendable eCommerce plugin that helps you sell anything. Beautifully. " This Plugin is used on 2.36% of the sites scanned by us.
" Display beautifully clean, customizable, and responsive feeds from multiple Instagram accounts "
This Plugin is used on 2.34% of the sites scanned by us.
" Adds a more styling options to Wp-PageNavi wordpress plugin. " This Plugin is used on 2.28% of the sites scanned by us.
" YITH WooCommerce Wishlist add all Wishlist features to your website. Needs WooCommerce to work. WooCommerce 3.5.x compatible. " This Plugin is used on 2.26% of the sites scanned by us.
" A powerful yet user friendly plugin that automatically creates a table of contents. Can also output a sitemap listing all pages and categories. " This Plugin is used on 2.24% of the sites scanned by us.
" Disqus is the web's most popular comment system. Use Disqus to increase engagement, retain readers, and grow your audience. " This Plugin is used on 2.20% of the sites scanned by us.
" The most advanced frontend drag & drop page builder. Create high-end, pixel perfect websites at record speeds. Any theme, any page, any design. " This Plugin is used on 2.05% of the sites scanned by us. This Plugin is used on 2.03% of the sites scanned by us.
" 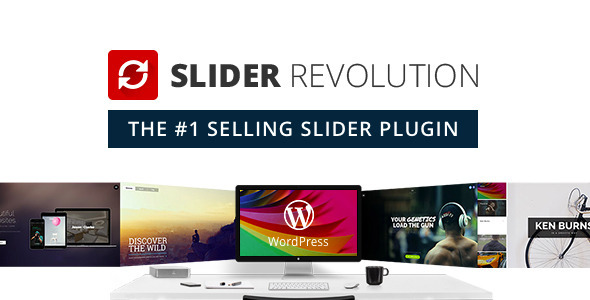 Slider Revolution Responsive WordPress Slider Plugin Slider Revolution (Revolution Slider) is an innovative, responsive WordPress Slider Plugin that displays your content the beautiful way. Whether i "
This Plugin is used on 1.97% of the sites scanned by us.
" Akismet checks your comments and contact form submissions against our global database of spam to protect you and your site from malicious content. " This Plugin is used on 1.95% of the sites scanned by us.
" More attention and a higher ad performance with fixed sticky widgets. " This Plugin is used on 1.86% of the sites scanned by us.
" Share buttons for WordPress including the AddToAny sharing button, Facebook, Twitter, Google+, Pinterest, WhatsApp, many more, and follow icons too. " This Plugin is used on 1.82% of the sites scanned by us.
" The most beautiful, responsive, lightning fast social share buttons built to boost shares and drive… "
This Plugin is used on 1.72% of the sites scanned by us.
" Add multiple columns (and multiple rows of multiple columns) to Gravity Forms. " This Plugin is used on 1.60% of the sites scanned by us.
" A highly customizable, easy-to-use popular posts widget! " This Plugin is used on 1.57% of the sites scanned by us. This Plugin is used on 1.34% of the sites scanned by us.
" This plugin allows you to insert social icons in any widget area. " This Plugin is used on 1.30% of the sites scanned by us.
" bbPress is forum software, made the WordPress way. " This Plugin is used on 1.26% of the sites scanned by us.
" Advanced measurement/advertising tag management and site personalisation for WordPress with Google Tag Manager and Google Optimize "
This Plugin is used on 1.24% of the sites scanned by us.
" The Ultimate Click-to-Edit Front End Builder for Your Website "
This Plugin is used on 1.21% of the sites scanned by us.
" Essential Grid is a premium plugin for WordPress that allows you to display various content formats in a highly customizable grid. Possible applications range from portfolios, blogs, galleries, WooCom "
This Plugin is used on 1.15% of the sites scanned by us.
" Take Social Sharing to the Next Level with MONARCH, a Social Media Plugin with Style. " This Plugin is used on 1.11% of the sites scanned by us. This Plugin is used on 1.06% of the sites scanned by us. This Plugin is used on 1.05% of the sites scanned by us.
" 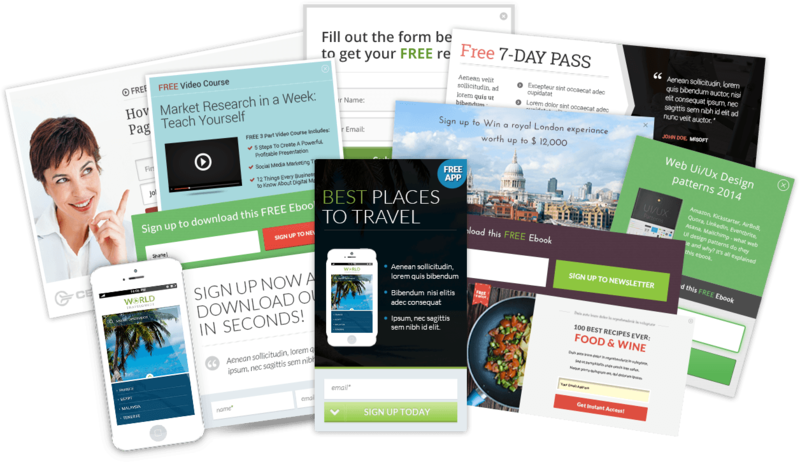 Thrive Leads: Build Your Mailing List Faster than Ever Before! " This Plugin is used on 1.04% of the sites scanned by us.
" Sell digital downloads through WordPress with this complete digital downloads management plugin "
This Plugin is used on 0.97% of the sites scanned by us.
" Easily view your Google Analytics and real-time statistics inside WordPress! Makes it super simple to add your tracking code too. " " BuddyPress helps you run any kind of social network on your WordPress, with member profiles, activity streams, user groups, messaging, and more. " This Plugin is used on 0.95% of the sites scanned by us.
" Add a real newsletter system to your blog. For free. With unlimited newsletters and subscribers. " " Display a list of related posts on your site based on a powerful unique algorithm. Earn money by including sponsored content! " This Plugin is used on 0.94% of the sites scanned by us.
" Send newsletters post notifications or autoresponders from WordPress easily, and beautifully. Start to capture subscribers with our widget now. " This Plugin is used on 0.93% of the sites scanned by us.
" Lets you make a WordPress page (or port or other content type) link to a URL of your choosing (on your site, or on another site), instead of its norma … "
This Plugin is used on 0.92% of the sites scanned by us.
" unfortunately we don't have any information about this plugin. "